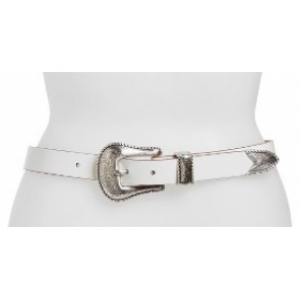 A silvertone buckle with ornate embossing contrasts beautifully with the smooth leather of this versatile belt that will add a bit of Western style to your ensemble. Brand: Lodis. Style Name:Another Line Skinny Western Belt. Style Number: 5043158. Available in stores.